Teachers have a lot to put up with at the moment in terms of workload and stress. But what may come as a surprise to some is that, just like in the playground, bullying can be a big problem in the teaching world. 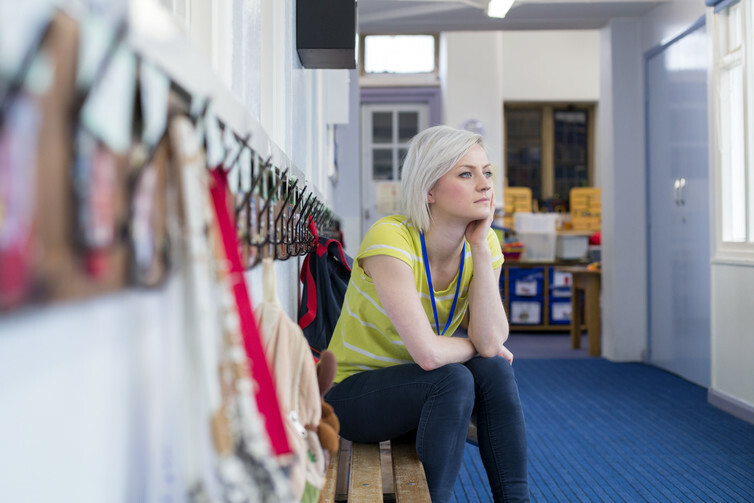 Research shows that when a teacher is being bullied, the bully is often (but not always) the the head teacher – who is increasingly stressed and can sometimes take out their worries about Ofsted inspections on their staff. And with this in mind, Dr Pat Bricheno and I recently studied the experiences of 39 bullied teachers in the UK. All became ill as a result of being bullied – mostly with anxiety, stress and depression. The symptoms they described included palpitations, shaking uncontrollably, crying a lot, drinking too much, raised blood pressure, and taking multiple medications. People felt under pressure, I saw people crying in the corridors, people upset, it was a very difficult time. The school had a huge staff turnover, which always rings alarm bells. Every week there would be a member of staff crying in the stock cupboard, or sobbing in the corner of the staff room. Virtually all of the teachers we spoke to required extensive periods of sick leave, and most ended up leaving the schools where they were bullied. Some simply gave notice, others left through early retirement or redundancy, many of them on “compromise agreements”. Some made new careers for themselves in related educational fields, but nearly one third left teaching completely and forever. While the impact of Ofsted inspections on headteacher behaviour could be a factor in all of this, it is unlikely to be the only explanation. This is because what we have at the moment is an education system with expectations, rules and procedures that lend themselves to heightened stress levels among staff – and, potentially, the empowerment of bullies. Constant surveillance of teachers – through Ofsted inspections, target setting and box-ticking checklists – is the norm in schools. This is alongside formal, regular observations and increasingly frequent unannounced “learning walks”. This is where line managers or headteachers can wander along corridors and through classrooms observing and appraising what teachers are doing. And while many headteachers and line managers use and manage these parts of teaching life well – to support their staff and enhance pupil learning – they can also be misused and abused. And bullied teachers who spoke to us reported many similar experiences. The expectations, rules and procedures that dominate education today include “capability proceedings” – a formal procedure that employers must follow if they have concerns about a teacher’s performance or competence. It should not be used in cases of ill health but it can be evoked to address a particular teacher’s shortcomings. Being put on “capability” should actually mean being given clear targets, and specific school-based help to develop and improve. It is a tool designed to address competence and performance issues, not to manipulate teachers into leaving. But our research shows that capability proceedings are being used by some headteachers as a weapon to get rid of teachers who have not failed, who have done nothing wrong, and who have actually met targets and helped pupils achieve their potential. In this scenario, an exit with an accompanying threat of a poor reference, or no reference at all, could and likely would end that teacher’s career, unless the teacher concerned agrees to leave voluntarily – before such procedures are invoked. It is clear from our research that when it comes to the issue of staff bullying, support from others is vital if teachers are going to survive. So getting together with other bullied teachers, and taking a joint complaint to the unions – who will act on your behalf – can be a very effective way forward. But too often colleagues are fearful that they may be the next to be bullied if they step out of line, which can make joint action difficult. There are, however, other organisations that can and will help. Occupational Health Services offer valuable support to bullied teachers who are also ill. While the Educational Support Partnership, an independent charity, offers a free help line along with individual support for victims. But unfortunately, as researchers in this area, Pat and I are unable to offer any real hope for the current future. Because it is likely that the bullying of teachers will remain a problem in schools for as long as the government, Ofsted, and league tables continue to operate in ways that seem to encourage and facilitate it.